This week, I have two updates to make about Prototype: Murakami. This week, I have two updates to make about Prototype: Murakami. 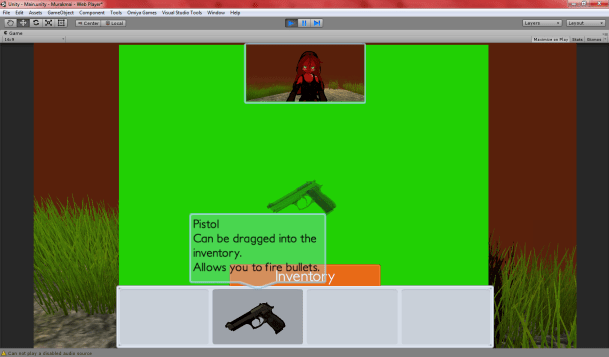 First, I admit to making a mistake: attempting to adding controller support to a point & click game. It’s why there’s been a 2 week gap between updates. 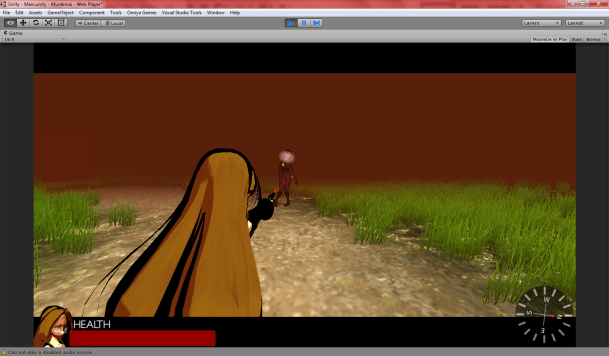 The current game has partial controller support that works while moving the character. The controllers do now work during the point & click puzzle portions, however, so that will require the mouse. Next, I’ve been improving the UI on the game, largely to make the puzzle portions a lot more efficient. Currently there’s a bug with the hint dialog, but that should be resolved shortly. The aiming mechanic is now a lot more dramatic as well. A few more polish will be added in a few days before level design takes place, but this generally completes all the features in the game. We’re ready to move on to putting these parts together into a whole game.